Asking Price is $850,000 Perfect opportunity for an absentee owner or an hands on owner! Numbers are great and this business is well established and popular! Busy Liquor Store!! Reduced Price! Asking Price is $775,000 This is a great Turn Key operation which produces outstanding income for the current owners. 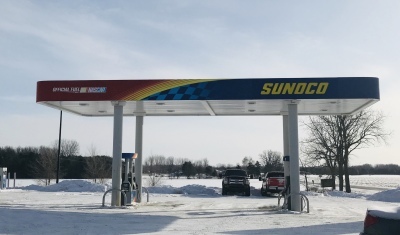 Asking Price is $595,000 Great opportunity to own a solid, turn-key gas station and liquor store in the mid-Michigan area. Easy transition for a new owner, with a already established staff. Asking Price is $309,000 Established in 1967, Russo's Pizzeria has become a household name in West Michigan. 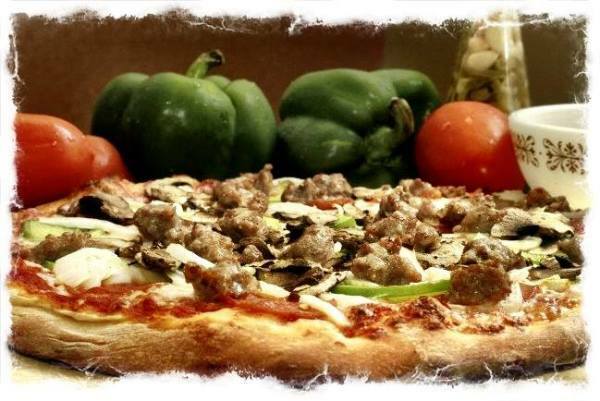 For the first time in decades, Russo's Pizzeria and Grille is finally up for grabs. 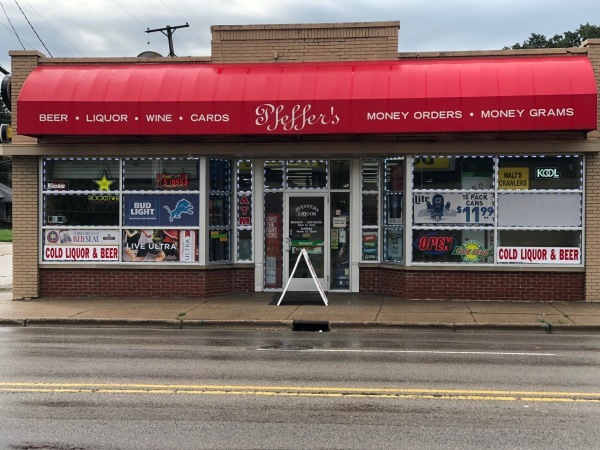 Asking Price is $450,000 This is a well-established business that has provided a variety of signage and graphic design options for local small and large businesses in the West Michigan area. Asking Price Is: $269,900 This is an outstanding warehouse and office that is located in an industrial park in Mecosta, MI. Entire building is in move in condition and ready for immediate occupancy. 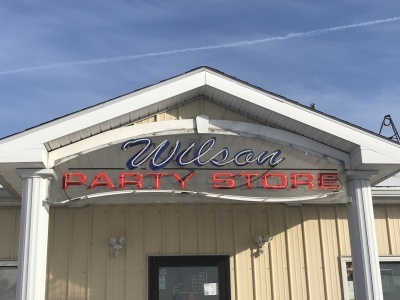 Asking Price is $249,900 Close to lakes, rivers and hunting this liquor store is right off Northland Drive and very close distance to Pierson, Morley and Sand Lake, MI. This liquor store draws from several communities. Asking price is $449,900 Call us today to take find out how you can take ownership of this great piece of history in Baldwin, MI. Asking Price is $209,900 Sweet Yo's in Grandville, MI is the ultimate location that serves something sweet for everyone. Whether you are looking for something fat free, dairy free, gluten free or vegan friendly. 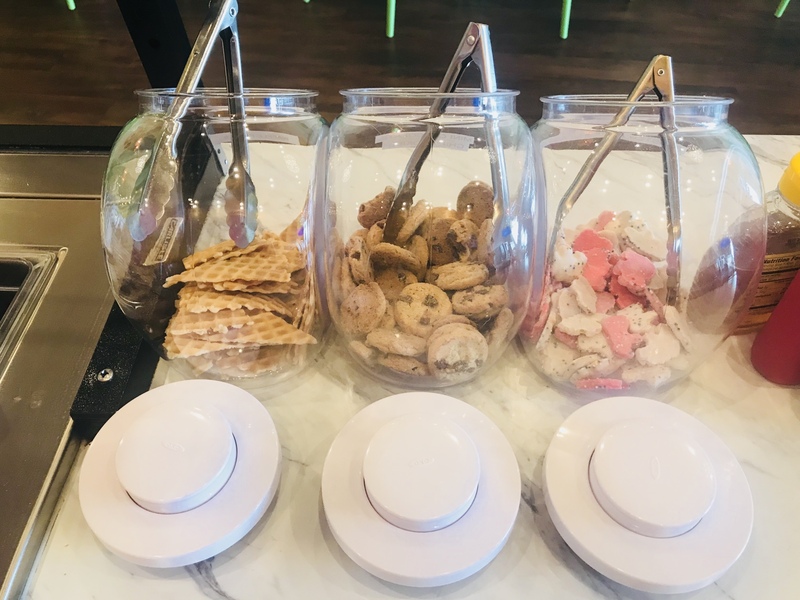 Sweet Yo's has the perfect treat for all ages. Asking Price is $260,000. Established liquor store in Grandville, MI now up for sale. Asking Price is $680,000 This is a great opportunity to own a turn-key business with a solid customer base. Asking Price is $950,000 This is a well known establishment with easy access and a loyal customer base. 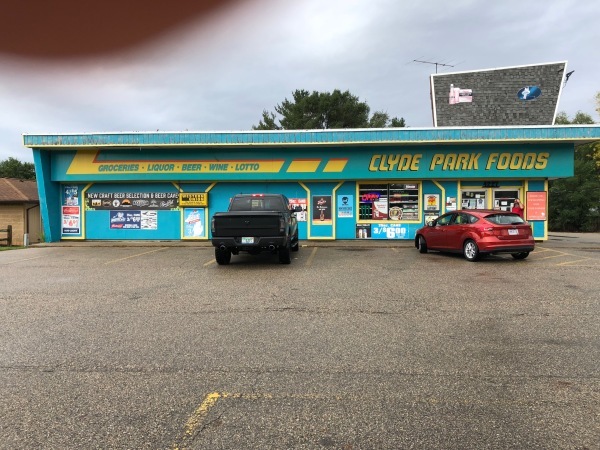 Co-Listed with West State Broker Services This is a well-located Convenience store in Ludington, Michigan. Price includes real estate, fixtures & equipment and SDD & SDM liquor licenses. 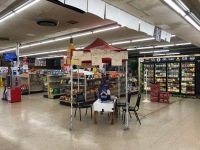 The owner has this store completely updated, both the real estate and equipment, these improvements and hard work have helped the sales move far ahead of recent years and are continuing to show good increases. Current owner wants to slow down with possibility of relocation. 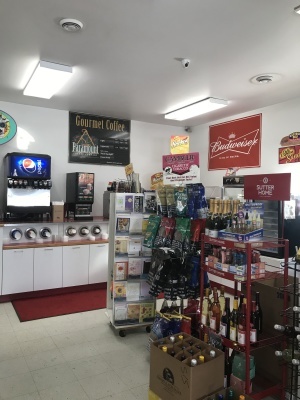 Co-Listed with West State Broker Services This Bar/Restaurant is a well-established business located in a growing area of West Michigan. The operation has Class C & SDM liquor licenses, offers food with a great menu, has dance permit and outside service for the summer months. 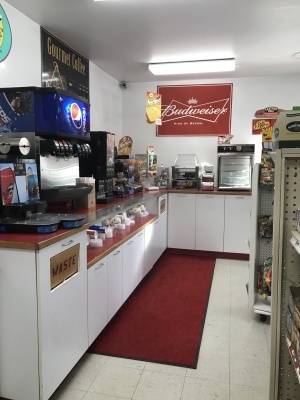 This site offers seating for 90, has ample sized parking lot with an out building for storage, all equipment and the real estate are in great shape. West Michigan Graphics and Sign Shop for Sale! In order to protect our client's confidentiality we are asking that any further details including the name and address be kept confidential until a signed confidentiality agreement is executed. Asking Price is $450,000: Owners are willing and prefer owner financing to qualified buyers. Price, Down payment and terms to be negotiated. The business has generated a loyal customer base by working closely with their clients to provide high quality signage and graphic designs based on their clients needs. This business is customer-focused and has generated a steady revenue for the owner for many years. The owner is is willing to provide assistance to a new owner during the transition period to ensure a smooth take-over. This opportunity includes all Fixtures, Furniture and Equipment, A Company Vehicle and the established Goodwill. The Real Estate can be leased for just $2,350 a month. Which makes this a very affordable business to take on. Whether you are looking to add to your portfolio or jump into a new business, this turn key business could be it. Give us a call today to get more information. This is a well known establishment with easy access and a loyal customer base. Located close off Clyde Park and 44th Street, close to 131, this business has a large community to cater to. 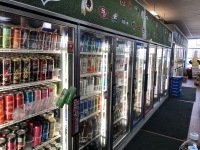 Providing Liquor, Beer, Wine, Lottery, Snacks, Groceries, Ice, Tobacco Products and many other items. This business is high-volume, has high margins and a large customer base and is turn key. ​This is a great turn key operation and produces outstanding income for the current owners. 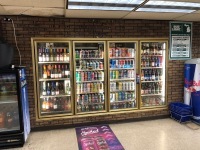 ​ For your consideration, this extremely busy convenient store is now for sale for the first time in 7 years. It is located in a high foot traffic area. There is also additional income from billboard advertisements attached to the store. This store does good volume with high margin items. 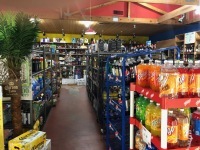 It features a grocery area, lotto, liquor, beer, wine, tobacco, and money orders. 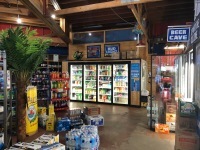 It is a very well maintained store and has newer coolers, and the roof on the store was just redone earlier this year. Listed for $775,000. Owner Financing Available! Brand new restaurant listing in the Canadian Lakes area. This cozy, lakefront establishment is located on Blue Lake. A mix of locals and vacationers frequent the restaurant every day. It offers gourmet food, a full bar, catering, live music, and stunning views of the lake from its beautiful patio. This is a perfect opportunity for an absentee owner looking to expand their portfolio. However, a hands on owner will enjoy many areas for additional earnings potential. This turnkey business is currently generating over 1 million dollars in gross sales. It has also recently been remodeled. Schedule an appointment today and let us show you this popular little gem before its off the market. Listed for $850,000. Owner Financing is available! This business includes the Real Estate, SDD/SDM Licenses, all Fixtures, Furniture and Equipment and the Goodwill. 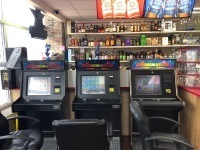 They currently offer Beer, Wine, Liquor, Groceries, Lottery, Money Gram, Money Orders, Clothing, Soda and Snacks and Nudgemaster Machines. Located off Burton Street in Wyoming, MI in a residential and commercial community. This business has a loyal customer base with continued growth. 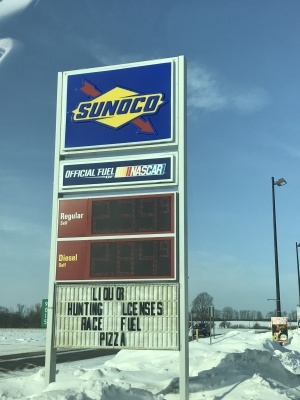 Branded Citgo and also includes a large office area which can be easily transformed into living quarters or leased out for addtional income. This is a great bowling alley located in Baldwin, MI. Originally built in 1953, this bowling alley truly is a piece of Baldwin history. The current owner purchased the bowling alley in 1991 and in 2001 added to the building which included a Kitchen, Bar, Pro Shop, Arcade and outdoor sitting area. Well maintained 8 Lane Bowling Alley. Owner has added a kitchen, bar, arcade area and outdoor patio with live music and horseshoe pit. All 8 Lanes AMF 8230 and are the original lanes from 1953, owner has added synthetic wood flooring 7 years ago as well as Pulse scoring by US Bowling. The current owner has done a great job growing and adding on to the real estate. A new and energetic owner could come in and grow the leagues and add more events. Call us today to take find out how you can take ownership of this great piece of history in Baldwin, MI. Call us today to get further details on this great opportunity! 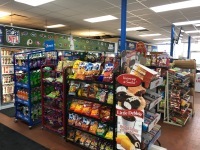 ​This is a well-located Convenience store in Ludington, Michigan. Price includes real estate, fixtures & equipment and SDD & SDM liquor licenses. 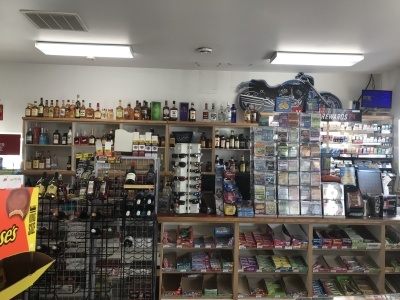 The owner has this store completely updated, both the real estate and equipment, these improvements and hard work have helped the sales move far ahead of recent years and are continuing to show good increases. Current owner wants to slow down with possibility of relocation. 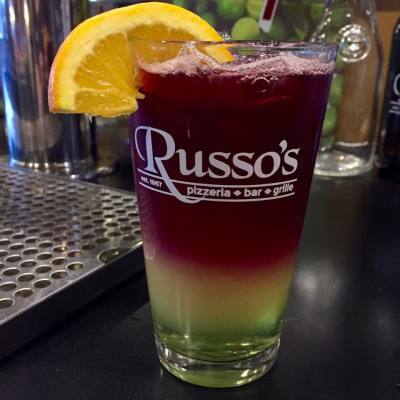 Established in 1967, Russo's Pizzeria has become a household name in West Michigan. For the first time in decades, Russo's Pizzeria and Bar is finally up for grabs. With recipes that go as far back and far away as the old country, there is a reason this food has become a longtime family tradition. This business features a full service bar and menu, as well as a take out beer/wine license and catering menu. Whether you are a business owner looking to add another successful and popular business to your portfolio or a first time business owner looking for the right venture to jump into, this business is ready for you to take over. Due to the confidentiality of the sellers, we do ask that all interested parties contact the broker to receive a confidentiality agreement. Should you visit the business, please respect the sellers by visiting only as patrons and leaving all discussions and questions for the broker. Call us today to get further details on this opportunity. 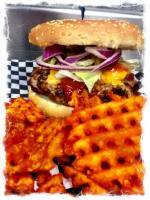 This Bar/Restaurant is a well-established business located in a growing area of West Michigan. The operation has Class C & SDM liquor licenses, offers food with a great menu, has dance permit and outside service for the summer months. 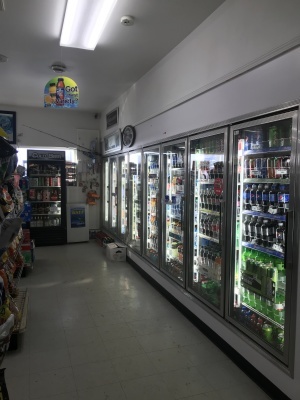 This site offers seating for 90, has ample sized parking lot with an out building for storage, all equipment and the real estate are in great shape. Second story was a living quarters which is partially remolded. Great opportunity for a buyer with people skills and some experience in this industry, needs an owner/operator to continue the increase in sales volume. Price is $295,000, includes real estate. PRICE REDUCED FOR QUICK SALE! BRING ALL OFFERS! This is an outstanding warehouse and office that is located in an industrial park in Mecosta, MI. Entire building is in move in condition and ready for immediate occupancy. This building sits on a lot that is 260 ft by 300 ft. As you step into the building you will be greeted by a large office space that is approximately 1,600 SF. You can go from your office to either the basement which is 1,200 SF or back to the warehouse main floor(3,500 SF) or the warehouse upper floor(2,100 SF). To top all that off this building has a great front lot for parking and a side lot for large trucks. Established liquor store in Grandville, MI now up for sale. Current owners started the business in 2016 and are now looking to sell their entire portfolio. 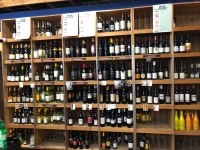 This business can be purchased separately or as a package with two other Kent County Liquor stores. Located on 44th street just down the road from Cabela's,Target and Rivertown Shopping mall. The real estate is leased, however the SDD/SDM Licenses, Goodwill and all Fixture, Furniture and Equipment are included in the price. Call today to get further details on this opportunity. 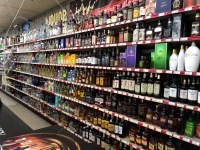 This is a well established liquor store for sale in Howard City, MI. 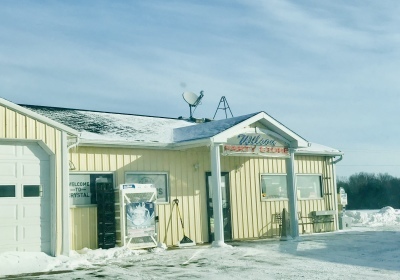 Close to lakes, rivers and hunting this liquor store is right off Northland Drive and very close distance to Pierson, Morley and Sand Lake, MI. This liquor store draws from several communities. Currently grossing over $800,000 a year with past sales over $1,000,000. 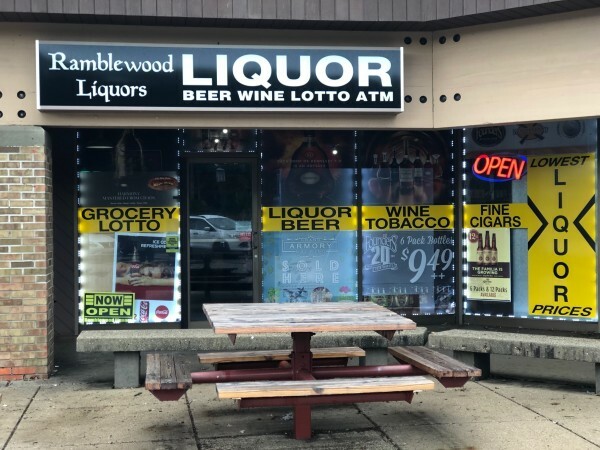 This liquor store has potential to increase revenue and the opportunity to purchase the real estate for an additional $400,000. If Real Estate is purchased buyers would add rental income to the revenue they are already making. Seller currently shares the building with Sprint and a Resale Shop. 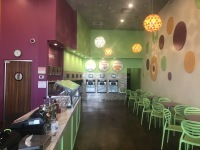 ​Sweet Yo's in Grandville, MI is the ultimate location that serves something sweet for everyone. Whether you are looking for something fat free, dairy free, gluten free or vegan friendly. 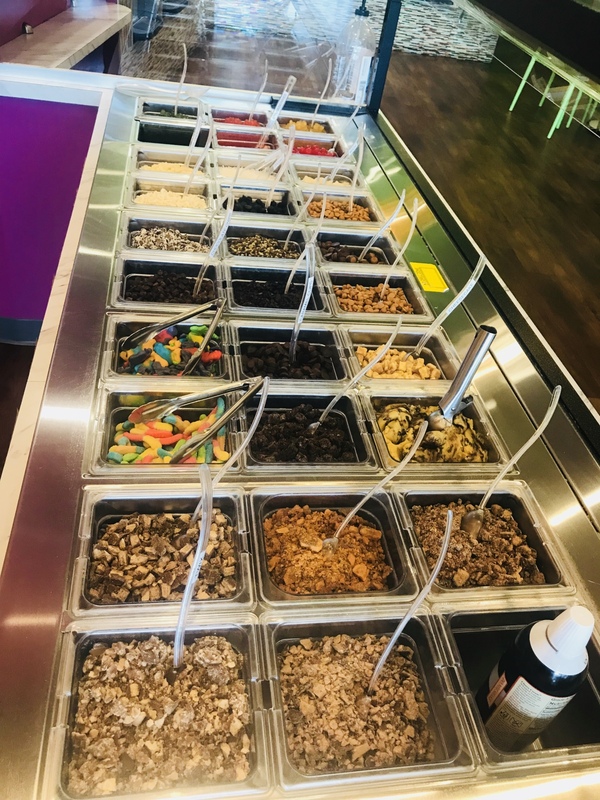 Sweet Yo's has the perfect treat for all ages. Located in the sought after retail development, Bucktown, which is home to many major retailers like Cabela's, Target and other well known names like Chipotle and Five Guys. 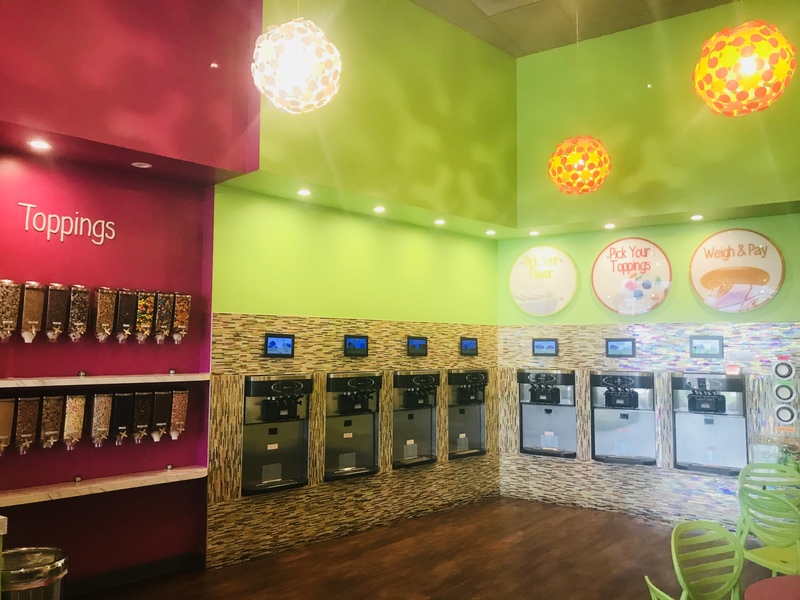 Unlike most frozen treat businesses, Sweet Yo's stays open year round and continues to serve their patrons in no matter the season, because you never know when you'll get a craving. Call us today to get further details on how to purchase this turn key business.